John White fly fishing on Lake Andrew. GRANITE FALLS, Minn. —Prairie Sportsman features John White fly fishing from a kayak and pays tribute to the late Curt Anderson, a colorful chef who delighted audiences with his wild game recipes for more than a decade. The segments will air on Pioneer Public Television Sunday, February 3 at 7:30 p.m.; on Lakeland Public TV Saturday, January 9 at 2:30 p.m.; on KSMQ Thursday, February 28 at 7:30 pm; and will be rebroadcast on TPT MN. Check local listings. When John White of Ortonville was 10 years old, a family friend who was dying of lung cancer gave him a fly rod for helping with his chores. That was more than 60 years ago, and John has been tying and fishing with flies ever since. 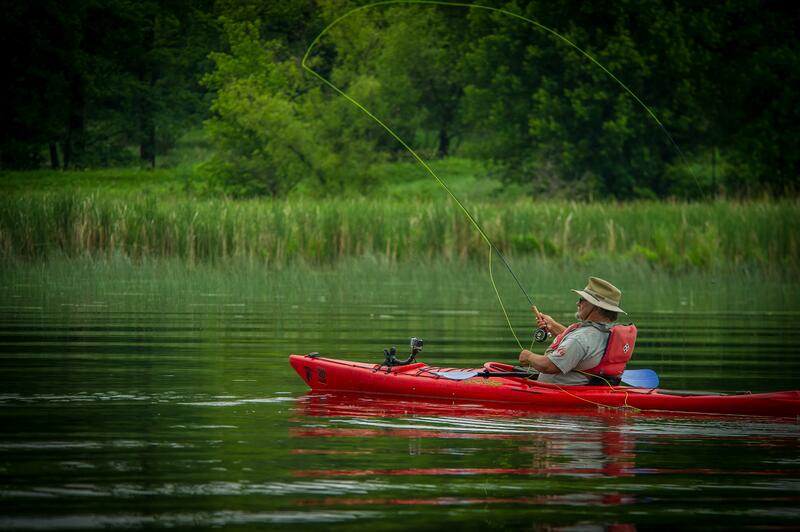 Prairie Sportsman is out with John at Lake Andrew in Sibley State Park where he fishes from a kayak and shares his love for the meditative, relaxing sport. Prairie Sportsman also rebroadcasts an interview with Curt Anderson who passed away January 11. He reminisces about his years as Prairie Sportsman’s colorful and beloved Chef Curt and the notoriety he experienced in airports from fans across the country. 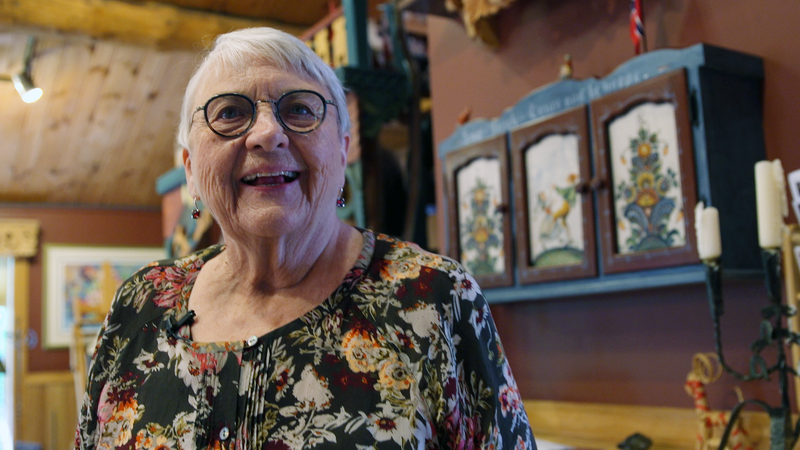 He prepares pheasant adobo, a dish created for Bernie, his wife of 35 years, who stitched dozens of colorful hats and chef coats for him over the years. The third segment features Ben Dwire whose 700-acre farm near Arco is a showcase of environmental stewardship. He is diversifying crops, protecting water quality and using intensive rotational grazing and integrated pest management. Established in 1966, Pioneer Public TV is anaward-winning, viewer-supported television station dedicated to sharing local stories of the region with the world. For more information visit www.pioneer.org.